Dyspnea is a condition characterized by shortness of breath or labored breathing. It is commonly associated with lung or heart disease, but it can also be benign and quite normal. Many of us know the feeling of losing breath after an intense workout; that’s also dyspnea. If you regularly can’t catch your breath, you definitely want to see a doctor. Dyspnea may make you feel as if you’re suffocating, and if it sticks around long enough, it can lead to chest pains or tightening. Have bouts of dyspnea at rest. Dyspnea may feel different to different people. Knowing the traits of your dyspnea is critical to know whether it’s a serious problem or not. 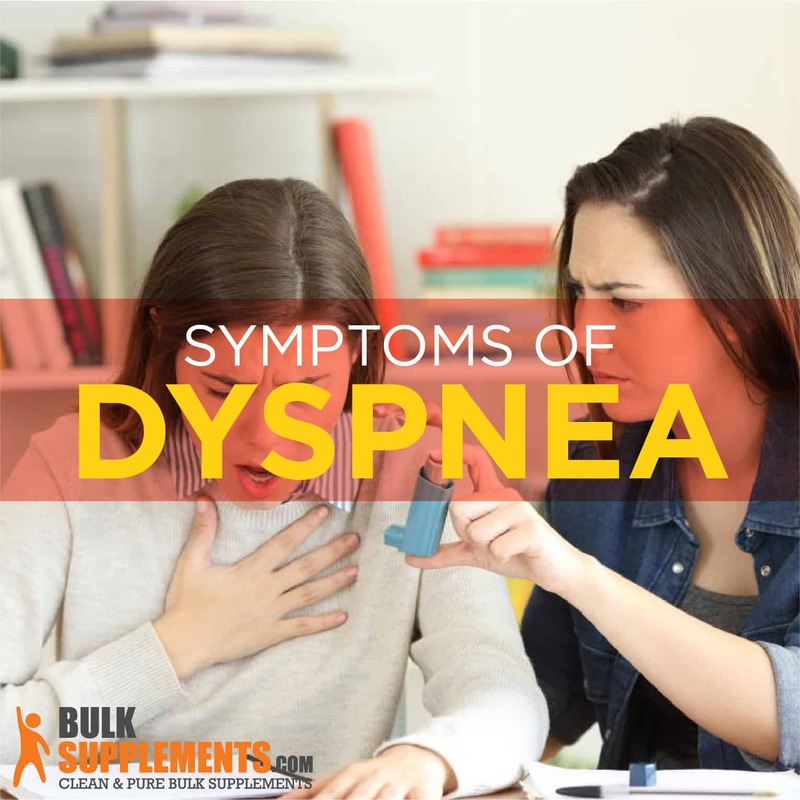 Dyspnea usually occurs when your body isn’t getting enough oxygen. Exercise triggers short-term dyspnea, so it’s normal after a heavy workout, but it should subside after a few minutes. Breathing at higher elevations may also trigger dyspnea because there is less oxygen at higher altitudes. Once your body acclimates to the higher elevation, it should subside. Paroxysmal nocturnal dyspnea is severe shortness of breath and bouts of coughing that suddenly happen at night, resulting in poor sleep quality. It can occur anytime during the day or night, but it usually occurs right after a person falls asleep. Evidence suggests that vitamin D can help regulate immune cell activity, inhibit inflammation and support healthy airway muscles. Airway smooth muscles are tissues in your bronchial tree responsible for airway regulation (x) (x) (x). In 2010, a study published in the journal Thorax concluded that smokers with COPD, a common cause of dyspnea, would benefit from taking vitamin D supplements. The study determined that vitamin D deficiencies were higher in those who had COPD (x). Vitamin A is essential for proper lung development. In 2011, a study published in the Journal of Physiology and Pharmacology concluded that people with low levels of vitamin A exposed regularly to tobacco smoke were more at risk of developing lung emphysema than those with normal levels of vitamin A (x). Another study, published in the journal Preventive Medicine in 2009, showed that vitamin A reduced the risk of COPD by 52 percent in 278 study participants (x). Vitamin E could also benefit your lung health. Levels of vitamin E are lower in smokers than in non-smokers. This means that smokers are more susceptible to damage from free radicals–unstable atoms that damage cells. A ten-year-long study published in the journal Thorax in 2011 concluded that doses of 600 IU of vitamin E every other day reduced the risk of chronic lung disease by as much as 10 percent in the 38,597 women who participated in the study (x). Vitamin C is the third antioxidant vitamin that may keep your lungs healthy. A study published in the International Journal of Chronic Obstructive Pulmonary Disease concluded that dietary vitamin C may provide protection from COPD (x). A powerful antioxidant, coenzyme Q10 has shown potential benefits for people with COPD. A study published in the Journal of Clinical Investigation found that coenzyme Q10 improved exercise performance in 21 participants with COPD by improving partial oxygen pressure in the blood, lowering heart rates and suppressing lactate production during exercise (x). Polyunsaturated fatty acids (PUFA), including omega-3s and omega-6s, have shown promise in helping people with COPD live better lives. One study found that PUFA supplementation improved the functional capacity of COPD patients after eight weeks of consumption (x). A nutrient and dietary supplement, l-carnitine helps your body’s cells by moving fatty acids into your cells’ mitochondria–their power stations. A study published in the Brazilian Journal of Medical and Biological Research found that L-carnitine helped 16 study participants with COPD improve their exercise tolerance and inspiratory muscle strength (x). COPD is a disease associated with muscle decrease and weight loss, especially in aging populations. 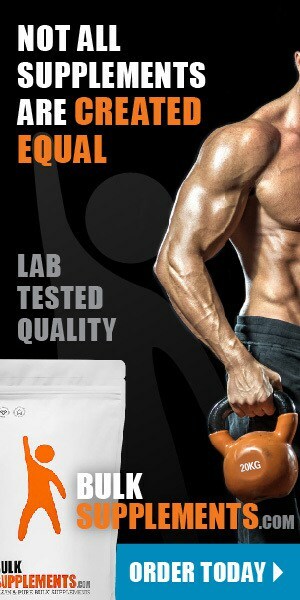 Supplementing with essential amino acids can help maintain lean muscle mass as a person ages. In one study, 88 patients with COPD increased their muscle strength, oxygen saturation and serum albumin after 12 weeks of taking essential amino acid supplements (x). Dyspnea is another term for shortness of breath. It’s completely normal to have labored breathing after exercising or exertion, and breathing should return to normal within a few minutes. It’s normally not a problem, but if your symptoms appear suddenly or persist, you may have an underlying medical condition your doctor must address. If you experience dyspnea at rest or if it continues without cause, talk to your doctor right away. On the whole, short-term breathing difficulties are scary, but usually not harmful, whereas long-term issues can have a significant adverse effect on your overall health and quality of life.